Brake Control O.E.M. style wire harness are designed for models equipped with trailer tow package. The quick and easy plug in style connections reduces possible short circuits and cross wiring of brake controls. 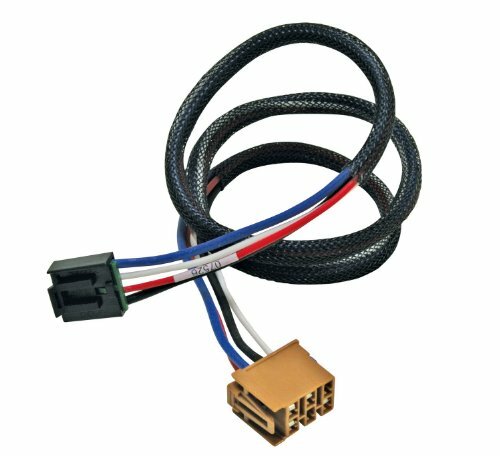 This custom pre-wired brake control harness will mate directly between your vehicle and several Reese Towpower brake controls. To be used with the following vehicles: 2003-2006 Escalade All Models Inc. EXT and ESV; 2003-2006 Avalanche; 2003-2006 Sierra Pickup; 2003-2006 Silverado Pickup; 2003-2006 Suburban; 2003-2006 Tahoe; 2003-2006 Yukon (Denali, XL and XL Denali); 2007 Pickup, Silverado Classic Only; 2007 Pickup, Sierra Classic Only; 2003-2007 Hummer H2; 2005-2007 Hummer H2 SUT. View More In Material Transport. If you have any questions about this product by Reese Towpower, contact us by completing and submitting the form below. If you are looking for a specif part number, please include it with your message.